A suite of tools designed to automate day-to-day patient communications and to enhance patient engagement. 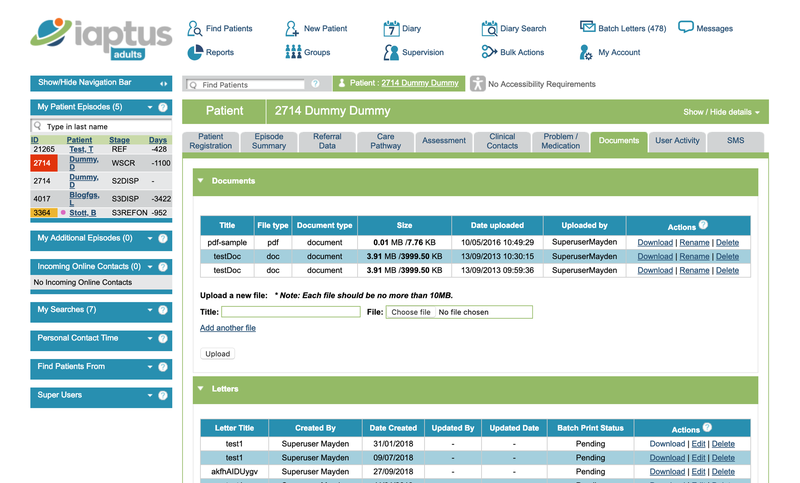 Increase efficiency by using templates to send letters to individuals and groups of patients. 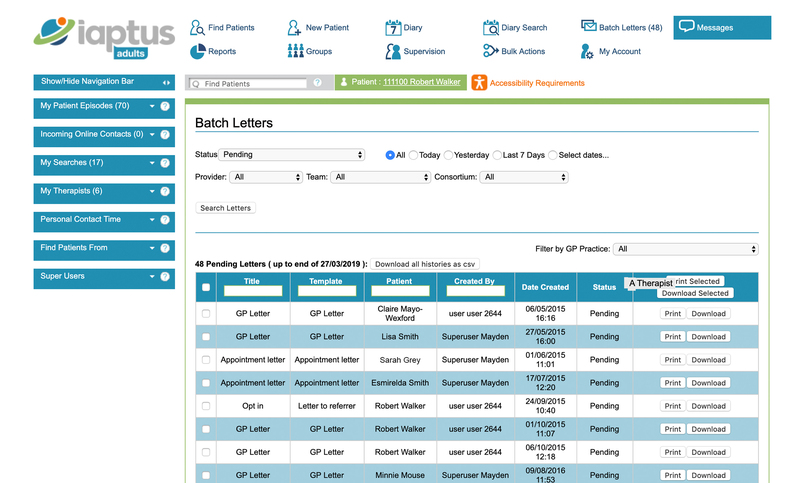 Letter templates can be created within iaptus to enable staff to communicate quickly and easily with individuals, with groups of patients, or with health professionals. Batch letters you might wish to create include automated new referral letters, appointment confirmation letters and appointment reminders. This approach is proven to increase engagement and reduce missed appointments. SMS notifications can be sent to patients automatically. 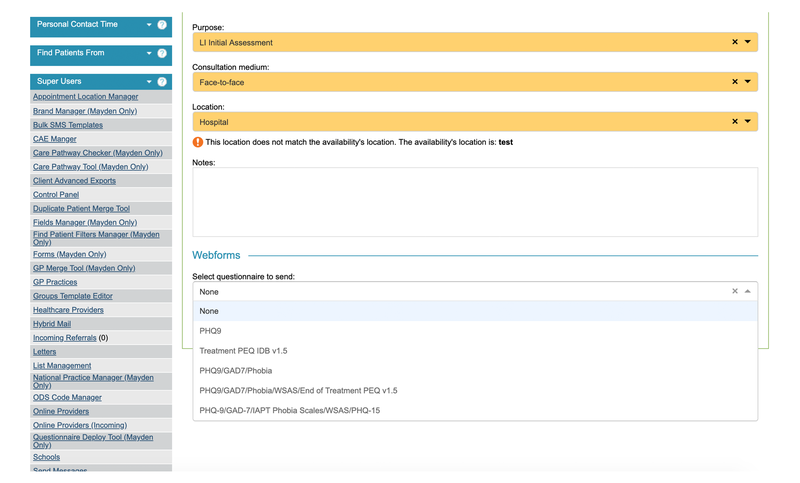 This feature is a customisable, easy to use, automatic and highly effective way to increase patient engagement. 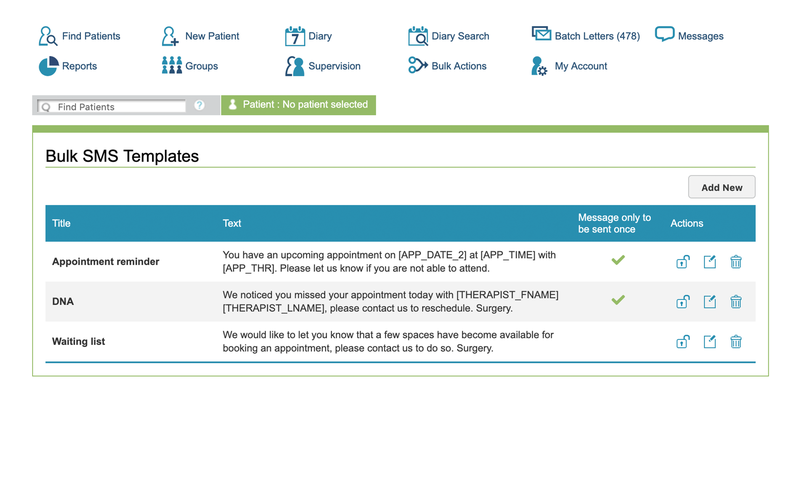 Messages can be tailored for different appointment types, sent a particular number of days in advance of an appointment, or used to confirm changes to appointments and cancellations. Services experience an average of 10% improvement in attendance, consequent reductions in missed appointments DNA rates and increases in early cancellations, allowing valuable appointment time to be rebooked. The cost of sending these messages each month is typically recouped in the saving of just one or two missed appointments. Alternatively, up to two days prior to their appointment a secure link can be automatically emailed to patients, and they can complete questionnaires via webform from home. 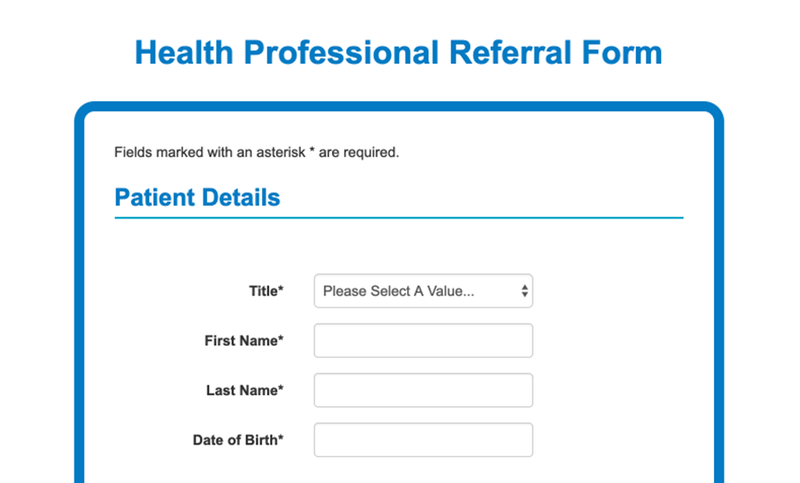 Other health professionals can refer patients to your organisation at any time, via a short, secure form on your organisation’s website. 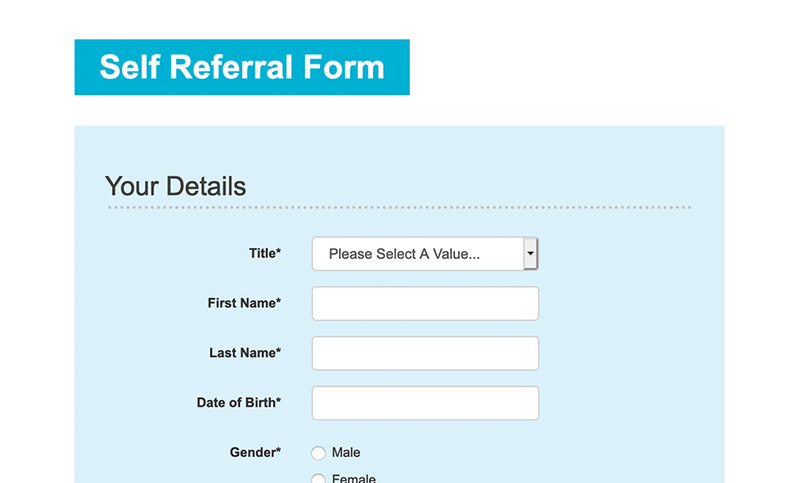 Whether the referral online comes from the patient or your colleages in the health community, iaptus provides a fast and efficiant workflow to process new referrals or merge with existing patients. With Hybrid Mail, letters created in iaptus can be sent at the touch of a button. This feature enables you to securely and digitally transmit your letters to our partner mail-house who will print them, put them into envelopes, sort, stamp and send them via Royal Mail – with status information sent back to iaptus. The cost of sending a typical appointment letter in this way is about 49 pence, as opposed to the typical cost of around £1.10 per letter, creating significant cost savings for your organisation each year.